Many economists are studying the impact of AI and automation on labor to figure out which occupations may be safer or more vulnerable in the future. 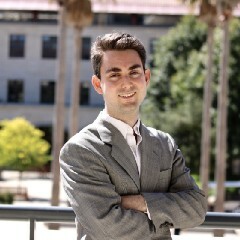 Christos Makridis (pictured above) is refining the study even further and asking where labor share may grow, and why. As an economist on the U.S. Council of Economic Advisers, Makridis looks at the public policy implications of technology. He is also a Digital Fellow at the MIT Sloan Initiative on the Digital Economy (IDE), a Non-Resident Fellow at the Harvard Kennedy School Cyber Security Project, and a Research Affiliate at the NYU Center for Urban Science and Policy. Makridis spoke at the IDE in November about Automation and Cities: how geographic locations vary in their ability to create new tasks and adapt to automation. Using a new, open-source database containing millions of skill profiles, he documented automation-based skills across U.S. metropolitan areas and showed that regulation and local characteristics can serve as moderating factors to job loss due to automation. One finding is that “better place-based policies promote better labor market mobility and churn in urban centers.” For instance, more flexible housing regulations and lower housing costs could attract and keep workers in a particular city. Additionally, Makridis put forth a “social interactions hypothesis” that since cities are places for idea exchange, they also encourage new task or job creation. At another 2018 IDE fall seminar, New York University Professor, Nicholas Economides, spoke about the debate over Net Neutrality and its repeal by the Federal Communications Commission (FCC) in 2017. Economides is a Professor of Economics at the Stern School of Business of NYU, and Founder and Executive Director of the NET Institute. 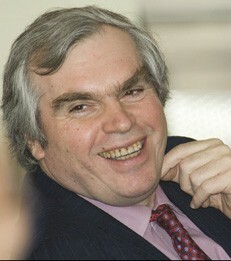 He is an internationally recognized authority on network economics, antitrust, and public policy. The controversial end to the 2015 net neutrality rules took effect last June. The rules were put in place to prohibit internet providers from charging more for certain content or from giving preferential treatment to certain websites, but some said it also inhibited innovation. Challenges to the repeal of the rules continued last month when the U.S. Court of Appeals for the District of Columbia heard arguments in a lawsuit to overturn the FCC’s 2017 decision. A ruling could take several months and Congress could also re-open discussions. Economides has been a supporter of net neutrality and he noted at the seminar that the U.S. has a historically low penetration of broadband, as well as low speeds, and high prices relative to other countries. Telecom firms operated differently than other tech companies, he said, causing cable companies to keep infrastructure investments low. In the early days of the internet, he said, it was run as a “decentralized network with minimal intervention by ISPs” and no paid prioritization—known as net neutrality--which worked to the benefit of consumers and small businesses. Read the full version of this blog on our Medium publication, here. Find a list of upcoming MIT IDE seminars here.